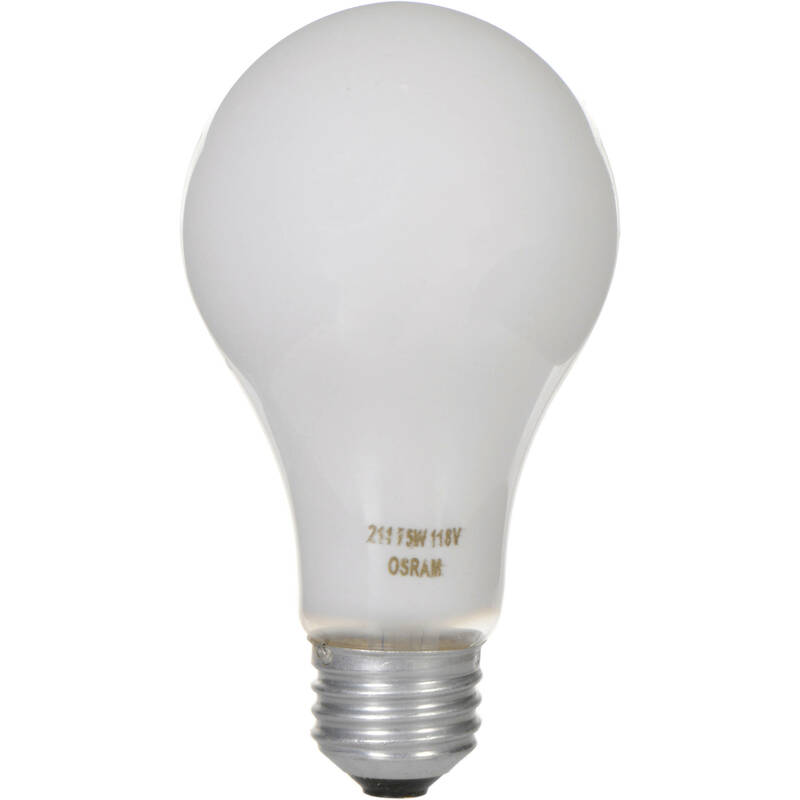 The Sylvania 211 (75W/120V) Lamp is an A21 shape incandescent bulb. The 211 has a Medium base and a 200 hour lamp life. This lamp is commonly used for studio, theater, TV & video. Box Dimensions (LxWxH) 8.15 x 6.65 x 5.05"
211 (75W/120V) Lamp is rated 5.0 out of 5 by 4. Rated 5 out of 5 by Brian from Works great despite initial concerns Compared to the old (possibly a few decades) Sylvania 211 in my enlarger (I bought this as a spare), the diffuseness of this bulb seemed to be less, and when on, I could in some circumstances start to make out the filament, unlike that older bulb. I was worried that with my condenser enlarger that it would show up, but I ran tests with both bulbs and they both made perfectly even gray prints, so this bulb does exactly what it's supposed to do. All in all a good purchase. Rated 5 out of 5 by Alex from I would definitely purchase this item again. The 211 lamp is the recommended light source for the Omega D series enlargers which is what I purchased the lamp for. Although the enlarger is considered a condenser enlarger the 211 lamp with its particular frosted coating actually makes the light source a partially diffuse light source which, in a sense, gives the best of both worlds for traditional dark room printing. Rated 5 out of 5 by Eric from It works It' a light bulb and it does its job. Rated 5 out of 5 by iLabrador from Bright Idea It lights up my life!